When you cross the finish line of your Ironman Swim, you will have swum faster than you have in previous attempts. 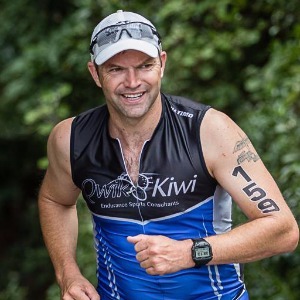 Designed for Intermediate Ironman Athletes who are looking to compete in an Ironman event, the primary goal of this training plan is to prepare you to set a PB for the Swim during YOUR event. Crafted by myself, Ray Boardman PGDipSportsMed, PGDipRehab, PGCertSc (Exercise Science), BSc (Anatomy), DipSportsStudies this plan encapsulates my passion for the sport, my experience from completing dozens of Half and Full IRONMAN distance finishes and my success coaching hundreds of triathletes. Starting 12 weeks before the YOUR next Ironman, this plan progresses through phases to build you to your peak performance. Each week typically contains three swims each week. You will build up to: 4,000 metres swimming in a single session. Although not necessary, I recommend using a swim monitor (eg. Garmin Forerunner 735, 920 or 935) to track your sessions in the pool. 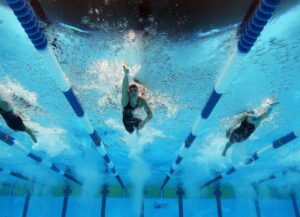 Prior to using this plan, you should be able to complete a swim of 1,500 meters or yards continuously, and 3,000 metres or yards total within a workout. 1000m Warm Up; 12x 50m (25m Drill/25m Swim); 8x 25m Pick Up 10sec RI; 400m Time Trial (TT); 10min rest including easy swimming of at least 200m; 200m TT 400m Cool Down; E-mail your times (for both 400m and 200m) through to your coach. The difference between them halved (to convert to 100m time) will calculate your T-Time. You will utilise this in future workouts.